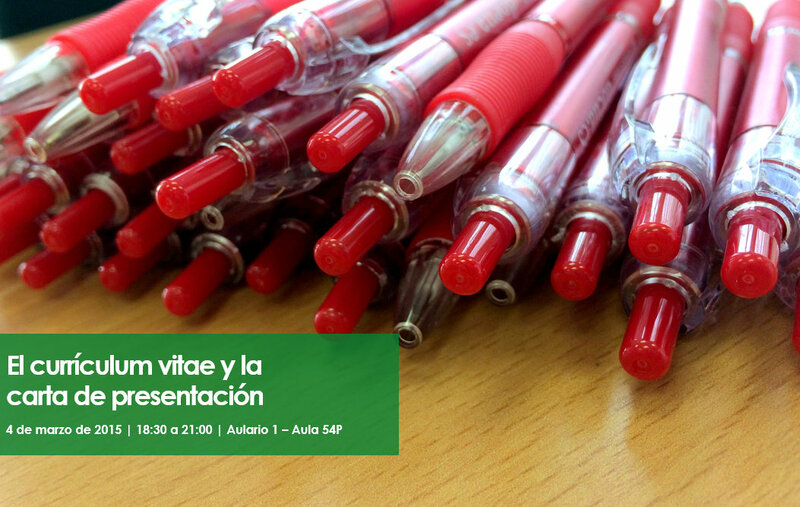 In the framework of the program improvement your employability, next February 4, 2015, from 18:30 to 21:00, in the Lecture 1 - Aula 54P, will conduct the session resume and the cover letter. Your resume it has to help you get to the interview, is your Passport, and therefore it must be capable of capturing the attention of who wants you and, in addition, demonstrate that you are a / real / professional. We will know how to make the message you want to convey with your CV, and see mode as you have to translate it and send it to not go unnoticed. It is session will be given by María Teresa Bañón, Master in management and management of human resources by the University of Alicante is specialized in the optimization in the management and the development of skills and personal competencies. He has experience in selection skills, Assessment Center, description of jobs and performance evaluation projects. Their training and experience in the leadership and management of business units allow you to get a complete picture of optimum performance on jobs.